Manchester’s new 360,000 sq. ft. five stage production facility The Space Project and dock10 the leading media services provider based at MediaCityUK collaborate to deliver an exciting new proposition for the TV drama and film production sectors. 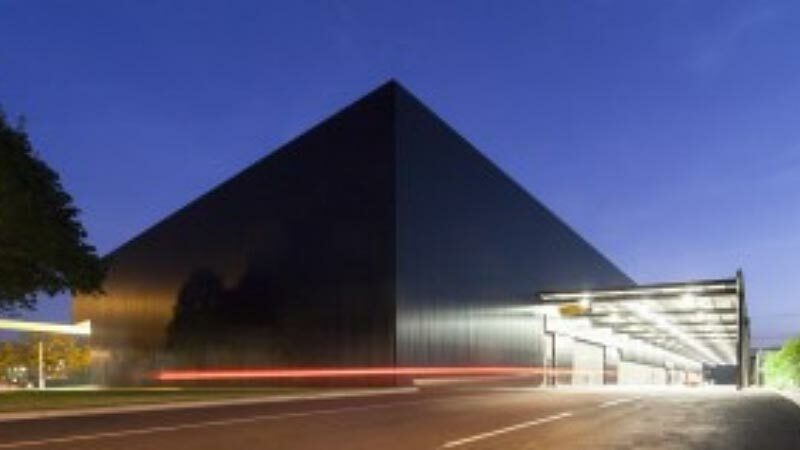 dock10 invests in fibre connectivity between The Space Project and The Studios facility at MediaCityUK to enable seamless file based workflows plus worldwide service delivery. Manchester today takes a significant step closer towards providing a unique integrated and united TV and film production service proposition, as The Space Project and dock10 announce details of an ambitious new collaboration. Enabled by fibre connectivity from The Space Project in West Gorton to dock10’s facilities at MediaCityUK, the agreement will give productions based at The Space Project seamless access to dock10’s cutting edge post production and content management platform which has the capacity for storing more than 20,000 hours of programming. The fibre installation, funded by dock 10, will also significantly minimise data ingest and transfer times for productions, reducing costs, logistical requirements and security concerns inherent with crucial file delivery. Directors, producers and editors will also be able to benefit from viewing rushes instantaneously anywhere in the world as content is recorded on to dock10’s platform. Combined with access to five acoustically treated stages, dressing rooms, workshop, prop store and adjoining office zones, the proposition means that TV dramas and films shooting on single cameras at The Space Project will have access to the same advanced post production workflow options normally reserved for shows based at dock10’s market leading HD TV studios, as well as field dock, dock10’s new innovative remote ingest solution. However, maintaining its commitment to non-exclusive partnerships, production companies at The Space Project will still have the option of working with external service providers of their choice. “We believe in competitive pricing and choice for our customers”, said Susan Woodward, Founder of The Space Project. Detailed planning is already underway with a number of broadcasters and production companies invited to make use of the new joint proposition, with the first client to be announced shortly. Woodward said of the decision to align with dock10: "This is an important next step in the evolution of Manchester’s ability to offer a powerful and compelling alternative to making TV and film in London; or anywhere else in the Europe for that matter. I’m both excited and hugely optimistic about what this new era of co-operation represents for Manchester - helping in part deliver the Government backed economic powerhouse of the North." Mark Senior Chief Executive of dock10, added: "The reasons to make TV and film in Manchester, tapping into the region’s infrastructure, skills and cost advantages grow stronger by the day. The Space Project and dock10’s facilities are complementary and our combined proposition amounts to far more than the sum of its parts. With this latest agreement we take a considerable step closer to the joint vision of ‘One Manchester’, unified by creative and technological excellence."